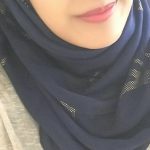 What it means to be a hijabi in America - sister-hood magazine. A Fuuse production by Deeyah Khan. Hijab (n) – A piece of covering worn by a Muslim woman. 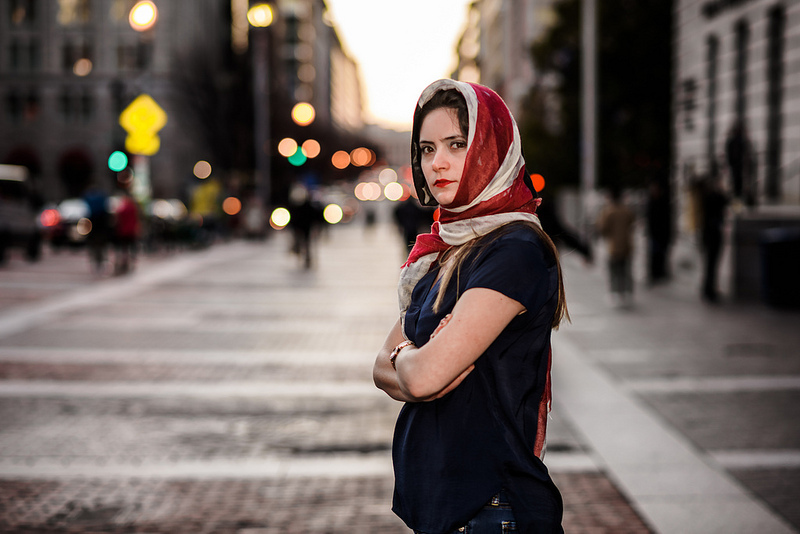 Hijab according to an Islamophobe (n) – A headscarf worn by a terrorist or oppressed Muslim woman. Over the last few years, Islamophobia in the US has increased at an alarming rate and being a hijabi woman, amongst growing prejudice, has made it a scary place to live in. 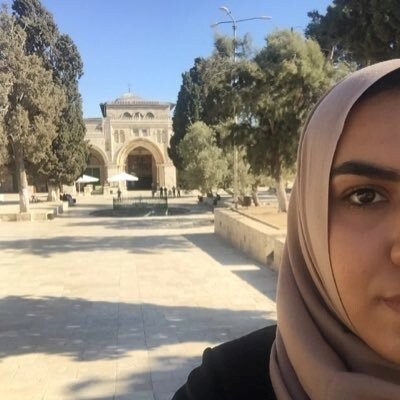 There have been an influx of incidents and hate crimes against Muslim women who have been attacked both physically and verbally, simply for wearing the hijab. People fear what they don’t understand. This ignorance induces hate and makes people scared and suspicious towards women dressed in Islamic attire. 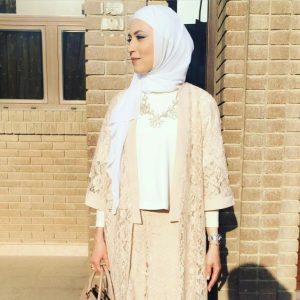 The same woman can be out in public without a hijab and people wouldn’t think much about her, but the minute she has a hijab on, she is seen as a threat and becomes the centre of attention. Trump’s recent travel ban and the current political situation in America has sparked more controversy towards Muslims, who are ostracised due to negative perceptions that most Americans have about Islam, some of which are spread through the media. People are intimidated and don’t really want to hire a Muslim, especially a hijabi, or sit next to her on the bus, or treat her with respect in public. This has resulted in a number of Muslim women becoming fearful to step outside in public wearing the hijab. It takes a lot of courage and bravery to be proudly Muslim in a time when islamophobia is on the rise. Many have also been victims of hate speech such as, “Go back to your country”, “Terrorist” and the like. I am impressed with the determination and strength of Muslim women who wear the hijab with pride and honour despite the risks. And while the hate is still rife, I realise that a lot of Americans are slowly beginning to learn and understand what Islam is really about. It’s refreshing to see that there are many who are tolerant of, and respectful to others regardless of race or religion. Viral videos and posts have shown non-Muslims actually stepping up and defending Muslims who were being attacked and ridiculed in public. We can only hope and pray that more of this love and peace will prevail insha’Allah. 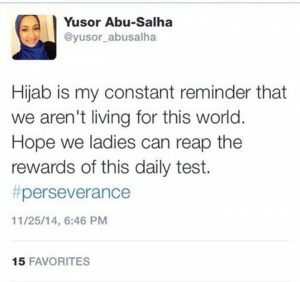 The late Yusor Abu Salha, a victim of an Islamophobic attack in the Chapel Hill shooting tweeted her thoughts about hijab a few weeks before she passed away and it is very relevant and inspiring to all hijabis, American or not. May Allah have mercy on her soul and grant her Jannah, ameen.